Cryptoparty is a free monthly Internet security and privacy workshop put on by local security experts and privacy advocates! Whether you are a journalist, business owner, activist group, cyborg, or just plain privacy-curious, come learn about awesome technologies you can use to protect yourself and your friends from snoops big and small! Secure your email, mobile phone, web browser, hard drive, website, databases, etc. 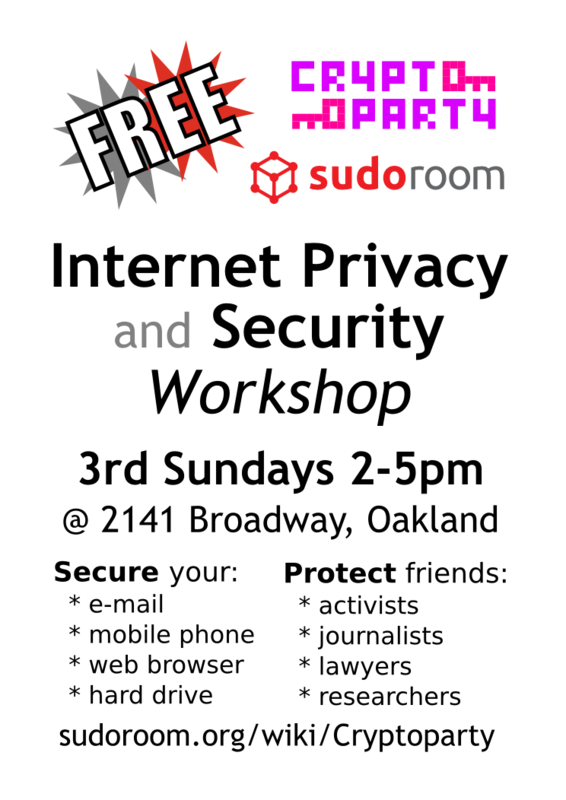 Find more detailed info at https://sudoroom.org/wiki/Cryptoparty!